In today’s digital landscape, leaders are looking to technology solutions to enable an increasingly mobile workforce and to create an environment that allows employees to work anywhere, anytime and on any device. Recently, I spoke with Michael Rau, Vice President and CTO, Borderless Network Architecture at Cisco. Michael Rau’s expert insights identifies that the unified workspace is a solution to meet the complex demands of the public sector workforce. The unified workspace allows agencies to meet the complex demands of the workforce. As Michael Rau identifies, “There are fundamentally five big attributes to the unified workspace, it’s any device, any operating system, any expert, any location, any application. 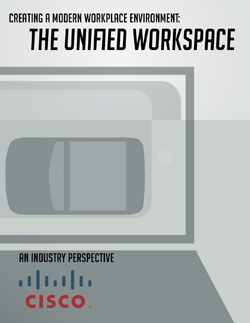 A unified workspace creates that environment.” In this report, Rau illustrates how a unified workspace creates a modern office environment. According to Rau, a unified workspace has become a strategic imperative for government to meet the complex demands of the public sector workforce. As agencies are challenged to modernize and securely transform into a 21st century government, technology serves as a way to facilitate and expedite the required changes. Technology is redefining and transforming the modern workplace. Increasingly, IT departments are challenged to facilitate a secure and modern work environment that allows employees to work where, when, and how they desire. The unified workspace allows agencies to adopt a philosophy of “bring your own everything (BYOE).” Regardless if employees use personal laptops, tablets or smartphones, the BYOE approach allows employees to work on the device they desire at any location, any time. For more than 25 years, governments around the world have partnered with Cisco to address challenges and achieve strategic objectives. By working closely with government leaders like you, we glean insights that cultivate thought leadership and help us design, execute, and test solutions based on best practices and our partner ecosystem. These ongoing relationships have forged thousands of proven implementations across a variety of public sector organizations, providing continuous innovation in how communities are managed and renewed.. 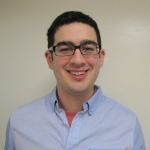 Check out the Technology Sub-Community of which they are a council member.